Carlos Valderrama still has his curly locks! A living legend in his home country, Carlos Valderrama is perhaps most instantly recognisable for his distinctive afro-blonde hairstyle, but he was also a phenomenally talented footballer, who, outside of the Americas, perhaps didn’t get the recognition his creative skill and footballing elegance with the ball so richly deserved. Taking in the action at the 2018 World Cup in Russia as one more fan of Colombia, whilst also keeping a keen eye on matches as a pundit and commentator at times, Valderrama is still deeply passionate about the game. His vision and analysis for South American and USA television and radio stations is arguably as profound as his ability was, back when he had the ball at his feet. 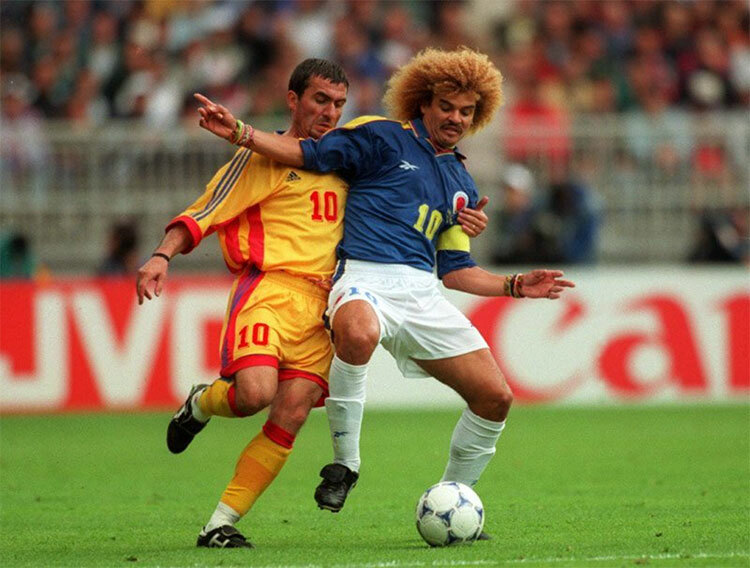 Having featured in three World Cup tournaments through the 1990s and five Copa Americas with his national team, Valderrama’s opinion is always well respected. His football knowledge remains sharp and insightful, which is something any football betting strategy enthusiast will always look for, when they’re building their own base of knowledge about teams and players, whilst also sniffing out the best odds. 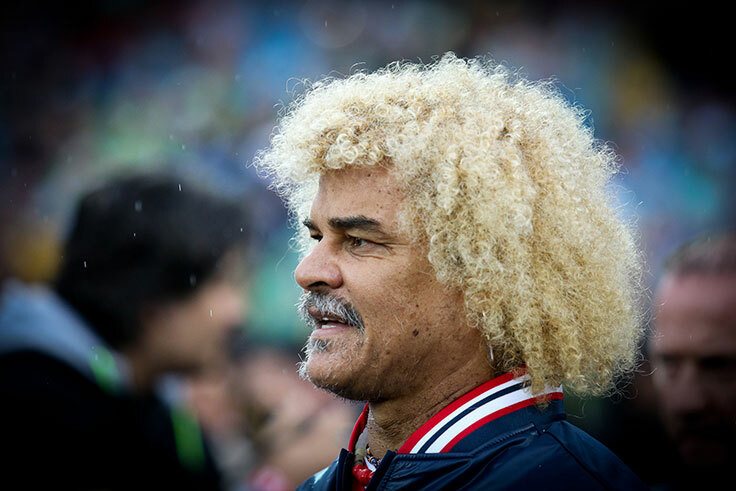 For anyone following the progress of Colombia at the World Cup, whether it’s a sign of doubt or confidence in the current crop of national team stars, Valderrama has bizarrely promised to shave off his trademark locks, should his country go on to win the tournament. Even though he’s now 56 years old, it’s hard to imagine him without that frizzy golden hair he’s always had. Known affectionately as El Pibe (The Kid), the obvious natural footballing ability of Valderrama first came to prominence with a modest Union Magdalena side between 1981 and 1984, before spells with two of the leading clubs in Colombia, Millonarios and Deportivo Cali. Inevitably, like so many of the most gifted South American footballers, he was lured by the opportunity to showcase his talents in Europe. In 1988, Valderrama joined Ligue 1 side Montpellier and played an instrumental role in helping them win the French Cup in 1990. However, it was also evident that he was struggling to adapt to the faster pace and more physical and tactical nature of European football, compared to the more technical emphasis in Colombia and South America at the time. A frustrating 1991-93 season in Spain with Real Valladolid was enough to convince Valderrama that the European game wasn’t for him. After deciding that his best bet was a return home to Colombia, he joined with Independiente Medellín for one campaign, then spent two seasons with Atlético Junior, helping them to win the Colombian Championship in 1993 and 1995. Already regarded as an integral part of a booming generation of Colombian footballers during the late 1980s and 1990s, Valderrama was already an established player with his national team, by the time the 1994 World Cup was hosted in the USA he was in his mid-30’s and in the twilight of his career. Although Colombia were underwhelming, finishing bottom of their group, his unique appearance and entertaining style of play made him an instant icon. When the MLS was launched for its inaugural 1996 season, Valderrama was an instant hit with Tampa Bay Mutiny, where he spent two seasons. A spell with Miami Fusion followed, but he was soon back with The Mutiny for three more campaigns, before his swansong with Colorado Rapids in 2001 and 2002. To this day, he still holds the record number of assists in the MLS, which stands as a testament to his enduring legacy as one of the pioneering overseas players in the league. Surprisingly, even to the man himself, despite showing an interest in managing teams after hanging up his boots, the right offers never came. Nevertheless, Valderrama has remained active in the sport he loves, as a commentator and analyst, along with opening his own football academy for youngsters in Colombia, keen to share his enthusiasm with kids who could be amongst the next generation of stars.